Der Artikel Felix Mendelssohn Bartholdy (1809-1847): Magnificat D-Dur wurde in den Warenkorb gelegt. 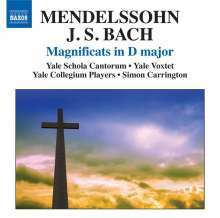 J. S. Bach's famous Magnificat and that of his son Carl Philipp Emanuel were the templates for the teenage Mendelssohn's first major work for soloists, chorus and full orchestra, a brilliant setting of the Blessed Virgin Mary's song of praise, composed in 1822, floridly Baroque in conception and similar in scale to the Bach settings. 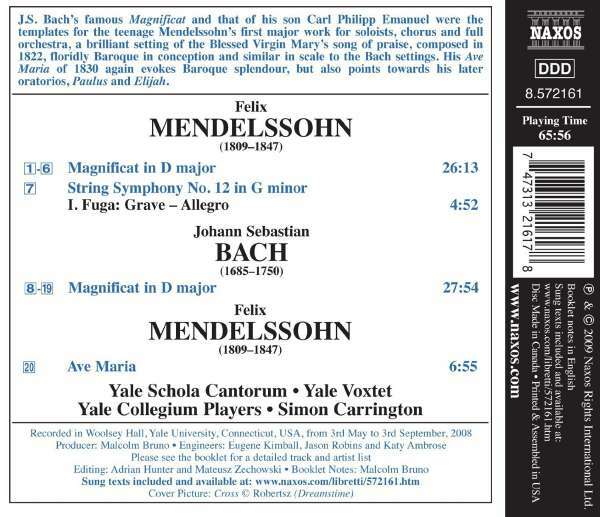 His Ave Maria of 1830 again evokes Baroque splendour, but also points towards his later oratorios, Paulus and Elijah. Super Aufnahme!! Sehr empfehlenswert für alle Sänger!